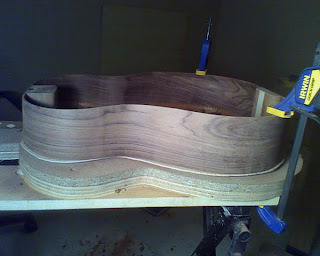 Now that the sides are glued in place each needs to be shaped to fit the contour of the back of the guitar. 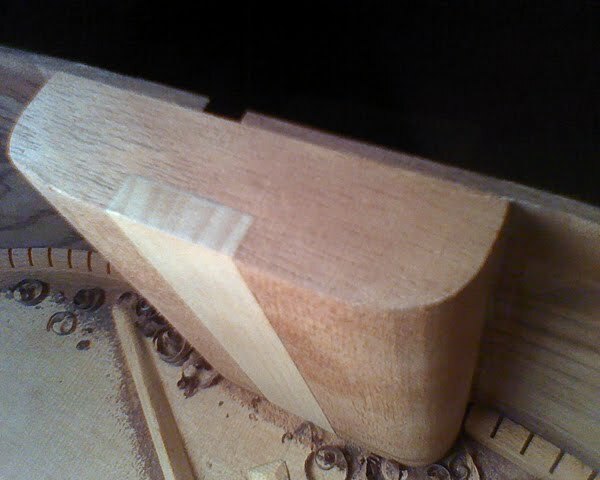 The tail-block is 4" and the heel block is more shallow. I drew parallel lines from the tail-block to a location about 2" behind the waist – from there the sides will angle down to the heel-block. You can see the lines drawn on the sides in the photo below (heel block). 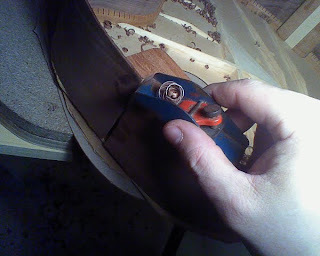 Almost all of this wood removal was done with this handy small plane. 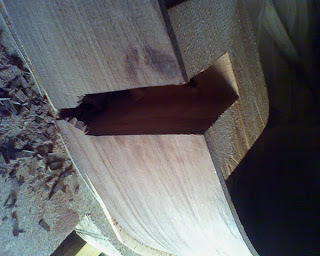 However I did use a chisel from time to time. 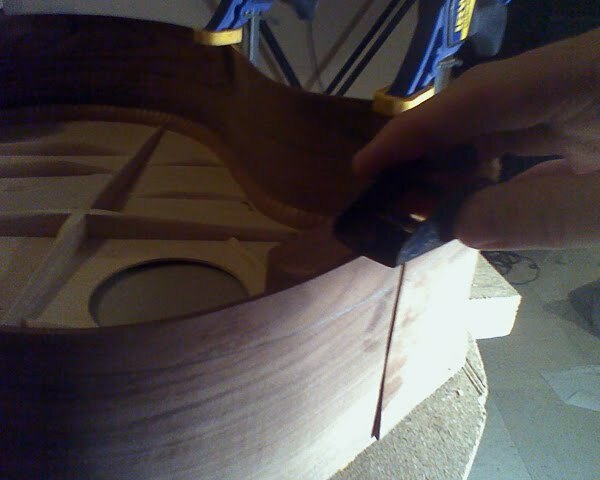 Getting close, I only removed about 1/8" in the back but had to remove almost a whole inch in the front. 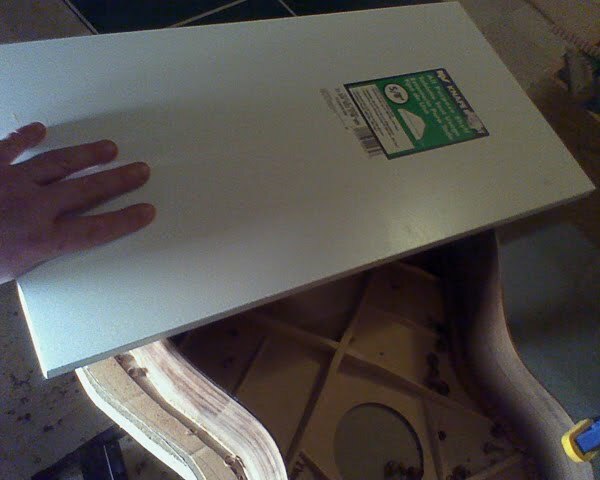 Once I was very close to each block, I used that sanding board (shelf) that has 80 grit sandpaper spray-mounted to it. 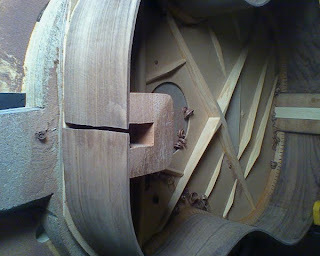 This was VERY noisy, almost like a turkey call or fingers on a chalkboard. This will create two flat planes. 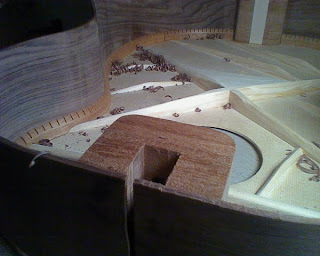 I will round them off slightly, later after the kerfing is glued on. 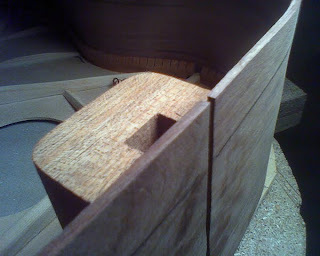 Here the sides are sanded flush with the tail-block. I decided to start to chisel out the mortise for the neck joint. This makes way less noise. 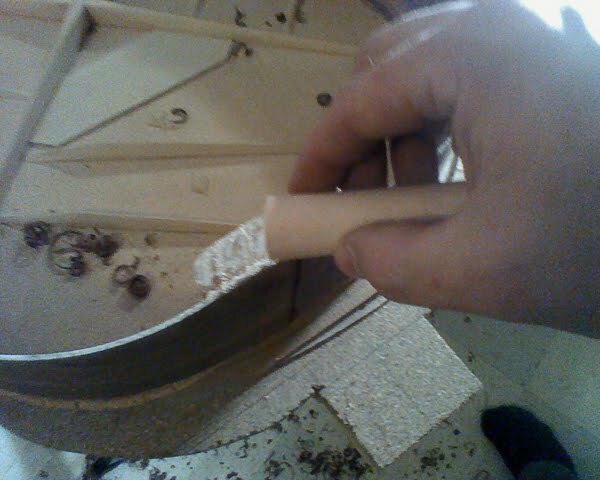 I stopped short of the soundboard – I didn't want to accidentally puncture it with the chisel. 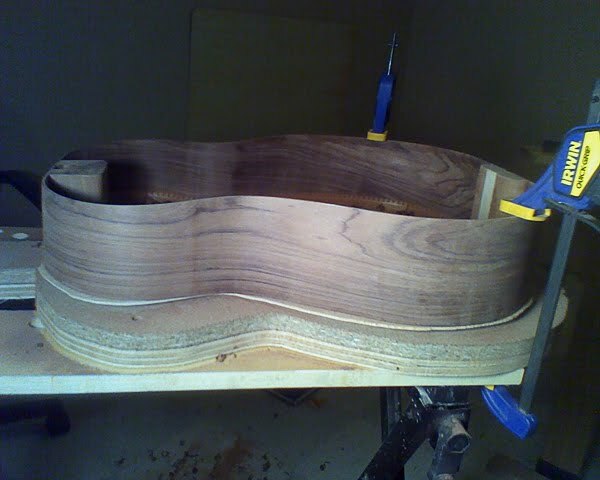 I think I will probably cut the rest with a fret saw or maybe the dremel. Can't wait to get back on it tonight!